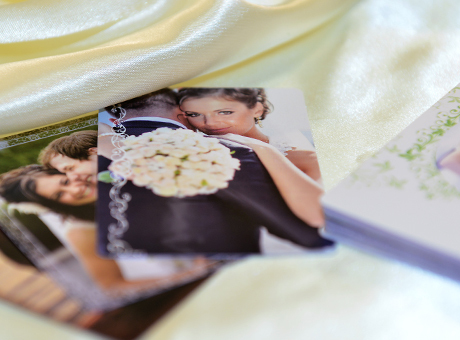 What better way to celebrate your wedding than with photo playing cards with a wedding pattern theme. A great way to showcase your wedding photos in a nice and compact way. 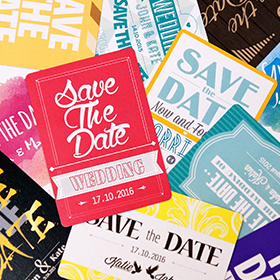 Are you preparing for your wedding and need to send out invites to your guests? 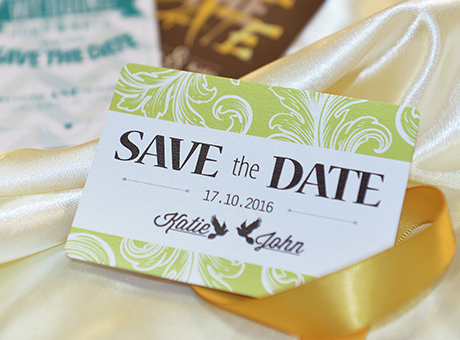 Create custom Save-the-date playing cards with your design, details and photo too. 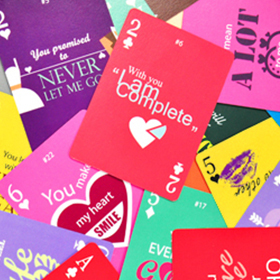 Do you love someone enough to send 52 reasons why you love him or her playing cards? We have designed a colorful and meaningful deck with 52 loving messages. Full customization available too. Premium card stocks (smooth, linen, linen air, plastic). 2.5" x 3.5" for each card. Custom card back with color or graphic and text. Up to 54 different card backs for your deck. How are you going to celebrate your wedding or anniversary with the one you love? How will you and your guests remember it? A personalized deck of wedding anniversary playing cards are a great option as it showcases your best photos on a very practical and handy gift product. Photos will bring all those happy memories back to the people who shared the great times with you so why not let them be a part of this special wedding or anniversary gift too. 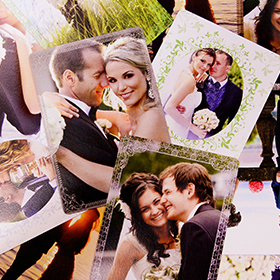 Simply upload your photos onto our online cards maker and order. We print on premium MPC playing cards card stock and are one of the finest quality printed decks you will be able to find anywhere. Shipped worldwide and in any quantity.